Modify Phone to Use w/Out Battery - Share Your Story - Alfred Center | get the most out of the best home security app! This is how I have my cameras hooked up so I don’t have to worry about battery explosions. Splice your phone charging cord or USB charging cord. 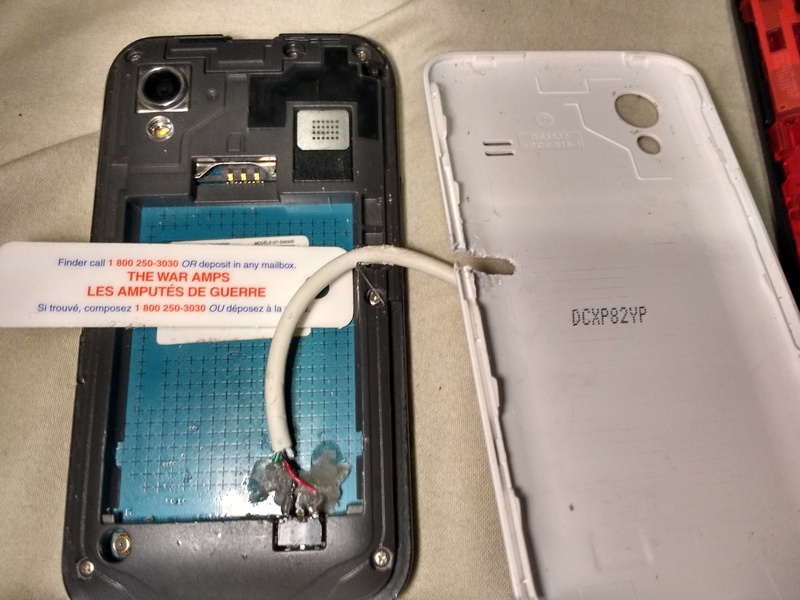 Using battery match up and find which connectors on your phone are + & - terminals. 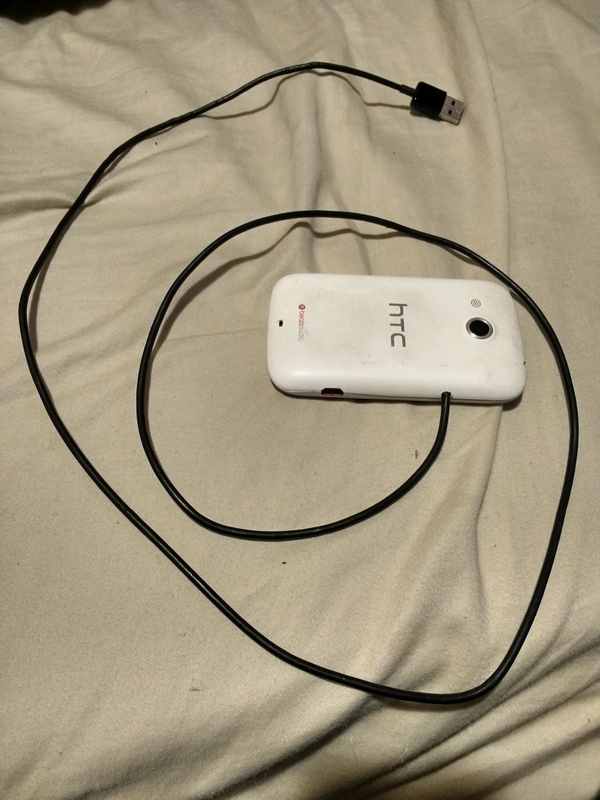 Hook up + & - of USB cord/charger to the + & - terminals of phone correctly (Phone will work w/out batt). Only downside is you need to turn cameras back on after a power outage. You could leave battery in with this config if you phone doesn’t charge through the phone port as well. How do we keep from burning up the batteries overtime in the cameras? @Lecram the idea is sound but the implementation maybe a little bit more than many Alfred users may wish to undertake. You could also try soldering a resistor between the the appropriate battery connections to make the device think that a battery is present, but like I have said in previous posts why go to all that hassle and still have a makeshift security device when you can buy the real thing for the same price as a couple of Starbucks coffees ? I have been using Alfred since its release, even well versed in the offline version Web of Cam, better known now as Baby Monitor - Live Streaming. Batteries eventually die, expand, or stop charging after the years, and when you can’t purchase these batteries b/c they are discontinued… This is the easiest simple fix around. Maybe YOU might not feel the need to undertake this method but if there’s 1 of me, there is 10, 000 more out there like me… lol. As far as battery notification goes, it thinks its full all the time and doesn’t affect using Alfred… So no worries. I don’t think putting a capacitor between + & - does anything other than charge the capacitor to blow up in your face. Its the additional terminals that give the status of your battery, and we don’t use those. Those you could hook up to the capacitor properly I’m sure, but to much HASSLE. Refer to google to see what I mean. Attached wires & hot glue in place. Don’t mind my hack job with the wires. 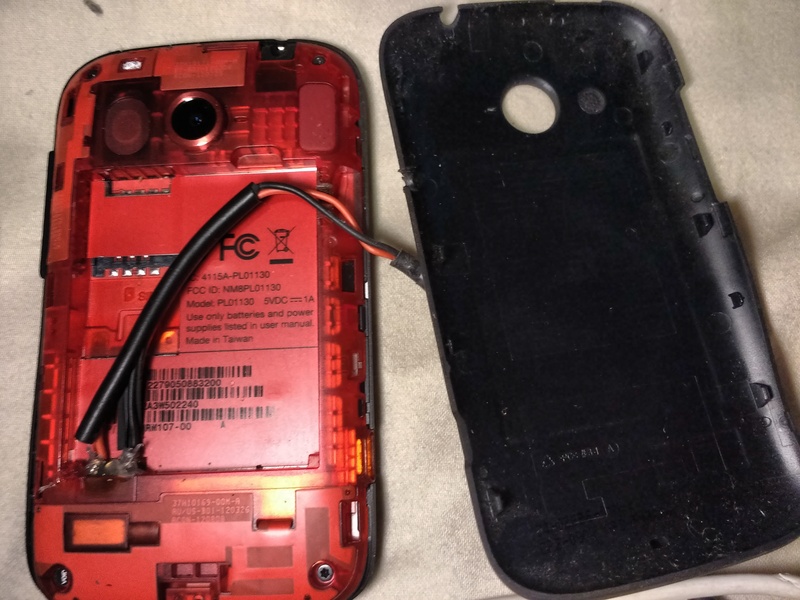 I originally just tried closing the case over the half stripped wires but it still wasn’t thin enough. So I melted a spot on the side of phone and matched same spot on case, as seen in second picture. This is a 3 terminal phone, center terminal is for battery status functions, don’t need it. This phones charging port had all bent pins to and was the only way to fix phone. If one then plugs the modified phone into an UPS, one would not have to worry about short power outages. If multiple phones are in the same vicinity (pointed in different directions), then one UPS would support multiple phones. Even a small one should last quite a while since the power need of the phone is much less than that of a desktop or laptop computer. Will the same ups be powering the network router modem or are these camera devices running on data ? I have several UPSs in the house. I have one that provides power and backup to the computer, cable modem, and router that also provides power for the hub. I have a separate one that provides power and backup for the two Iris V1 cameras which also has one phone plugged into it. 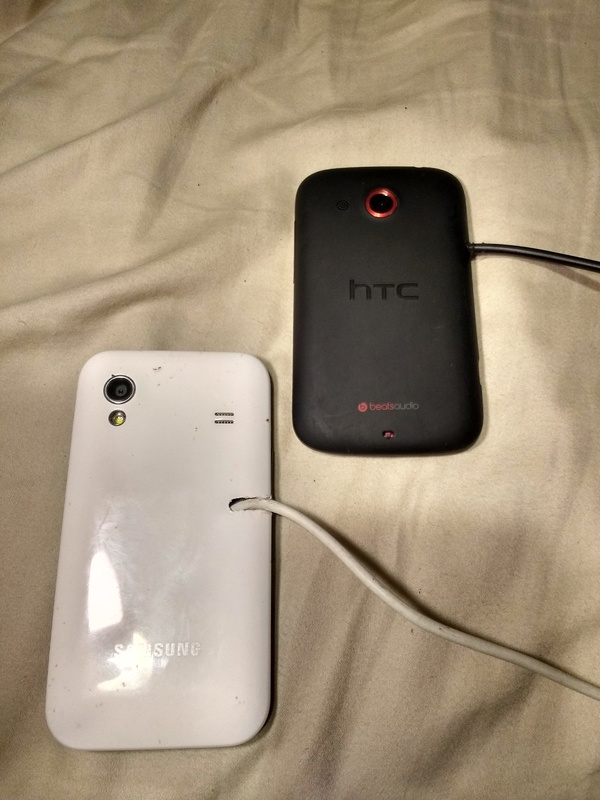 I don’t have backup power for the other three phones since all of them have batteries. Each situation is different. We recently had a power outage that lasted about 2-1/2 hours. Alfred kept working because the key parts of the system had battery backup power. The Hubitat system that uses the Iris sensors kept working also because it also was plugged in to the UPS. The only part that didn’t was because I shut the computer down to conserve power for the network. That runs the Iris V1 web cams so they could not record even though they still had UPS power available. I use car jumper pack, Floodlight Flashlight with car lighter plug, I use for mobile operations. I don’t know how long the UPS would keep the cameras running since they also do have batteries. I like the car jumper pack idea. I am sure that would keep a phone working for a long time. A standard Moto X battery is 2200 mAh. I was looking at one battery packs ranging from 500A to 1000A. 2200 mAh = 2.2A. 1000/2.2=@455 times the capacity. A phone could be powered for weeks one one of those! So how do i make my phone work with out using the battery? Lecram that’s pretty damned smart! Wouldn’t work for me though. Constant outages here in the boonies. Mine will all be outside soon. I’ve had great success with my bird nest throughout sumner/winter. It does not reduce the risk of course. But least as you say. Curtains can catch. My next project is a police style camera box mounted on my fence. This time I’ll catch the plates of my speeding road terrorists! I’m new to solar power but I do have a few things out there that have lasted for years. Even with the latest harsh winter, it’s working. I would Google your device first. Some devices are reported to boot when plugged in with no battery like most laptops. You will also need to check your voltages as the charger outputs more than the battery so you will be supplying more voltage to your circuits than the battery as the extra voltage from the charger is handled by the charging circuitry on the battery or device. This advice should be researched fully first before you proceed and provisos should be given. It will either work or won’t, your comment has no use. Have you tried any phones yet yourself? I got 5 hooked my way, been working 4 years strong. Go rain on someone else’s parade. Calm down Lecram. I just stating fact. Your adviceing people to wire up highly sensitive electronic equipment in an improper manner. I would add the proviso that they do so at Thier own risk and that you can’t be held responsible for any damages or fire that may or occur. The output of an average charger is 5v and the average battery 3.8v that’s just a fact not precipitation. That’s a difference of 1.2 volts which isn’t a lot but to highly sensitive slithers of silicon it can make a lot of difference. Trust me your no where in risk… It’s a old phone for most. It is not the highly sensitive MRI machine power adapter. 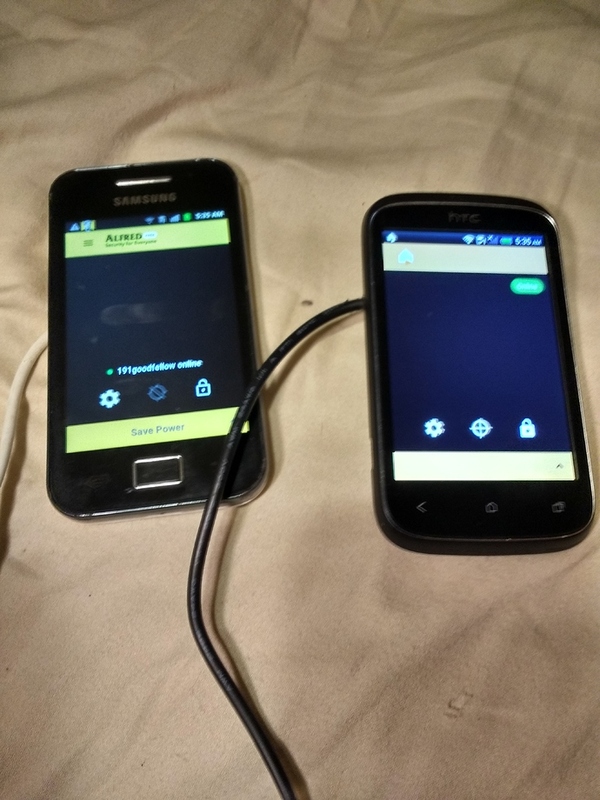 5v 2amps is usual $ store charger, without the battery some phones may even require this if their phone adapter is not enough without battery, or alftred tries telling you your running on battery when its hardwired. Low power adapters will cause the phone to not start up. I usually use usb adapter, as it regulates the voltage, and not the charger itself… I would also use adapter that came with phone as well first, if not working upgrade to 5v 2amp. I don’t need the research pinky, I have owned, hardwired and ran multiple phones for years running, Temps are way less than when the battery was there. I feel WAY safer this way now. If its that interesting to you to find out then to each his own. Other than that all your post usually demean peoples ideas or thoughts so no surprise your trolling peoples comments to add nothing but non sense. Good day sir. No reply necessary. No point in preaching to the converted. Not everyone is a highly trained and skilled electronic technician like yourself my friend. Wiring very fine wire across any circuit especially where the connectors are so close can cause a short, I don’t really understand why you are so negative. I’m not saying it’s the worst idea just saying you are talking to a wide variety of people who may not share the same skill set as yourself. DISCLAIMER FOR PINKY, DON’T DO THIS DIY. 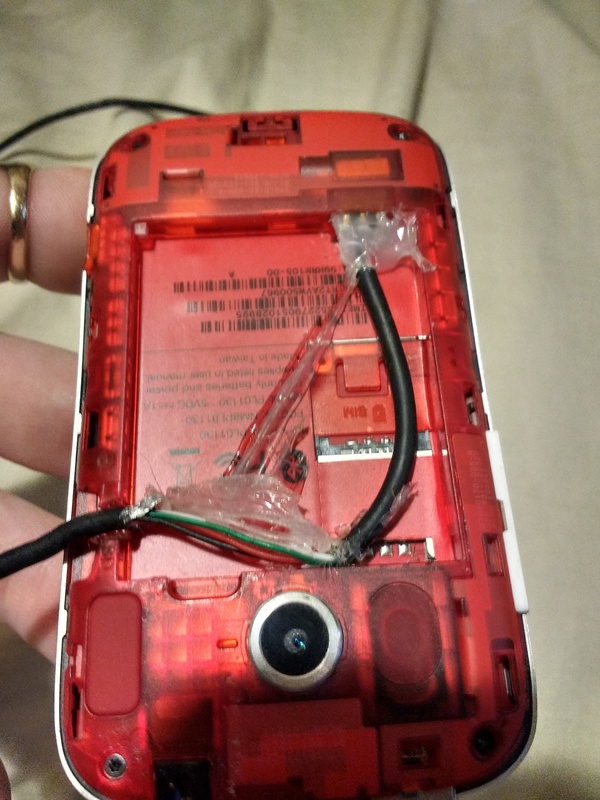 Phone wont work if not connected properly, short will disallow camera to turn on. TROLL. Quite filling this thread with nonsense also, if you got an addition to the DIY feel free to share, otherwise go boil your head. Thanks my friend. I believe you have covered your self. My head is already boiled. But thanks for your concern.